A while ago, we brought you the news that one of our favorite cool-girl brands, Glossier, was launching its debut fragrance. We knew the name—Glossier You. We knew what the packaging would look like—a chic sculpted pink bottle complete with a cherry red topper). And finally, we knew it would include notes of iris and musk. We didn’t know much else, but this info alone was enough to raise our anticipation through the roof. Seriously, we love fragrance here at Byrdie HQ. What we didn't know, however, was when it was set to launch. The brand kept that critical tidbit under wraps, only hinting that it was set to launch "soon." Well, we're happy to announce that “soon” has arrived, because they officially released the fragrance this morning. 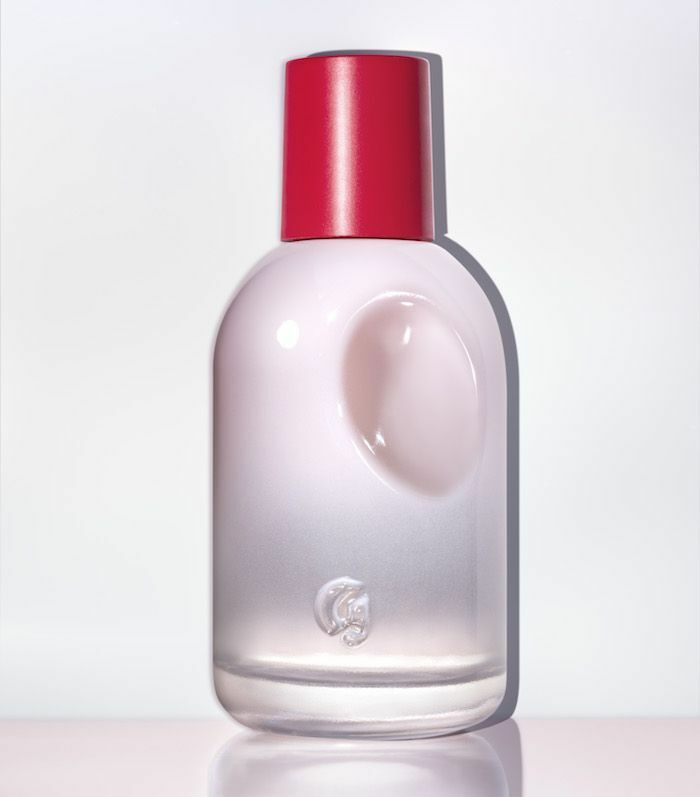 Keep reading to learn more about Glossier You and find out how you can get your hands on a bottle. The fragrance is composed of three base notes. The first is ambrette, which the brand describes as "comfy" and "warm." The second is ambrox, which is "smooth and salty." Finally, there's musk, which is the traditional fragrance base we know and love. These base notes are intrinsic to the scent. While other brands and perfumes disguise or layer their base notes with heady and super-floral top notes, Glossier doesn't. It just adds a hint of iris root, which has a fresh and earthy scent, and pink pepper, which it says adds a "spice" and a sparkling." "It's a simple equation of relatively few notes, honed over 38 weeks by legitimate fragrance virtuosos," the press release reads. "Each note was chosen and balanced to allow the juice to be both long-lasting and true to how it smells at the beginning, without changing as it dries down. In other words, You makes a good first impression, and lives up to that impression as time goes on." This is probably why Glossier's CEO Emily Weiss once described it as smelling like "your boyfriend's neck after he has been wearing cologne for eight hours." It's available on Glossier's website now, so if this androgynous scent sounds as incredible to you as it does to us, then go ahead and purchase yourself a bottle. It retails for $60, which isn't too expensive in relation to other designer fragrances on the market. Next, catch up on the new fragrance that's causing a frenzy at Sephora.